Since arriving to college in the end of summer, I have noticed a change in my sleeping cycle. I have been taking naps more frequently and achieving less hours of sleep during the night, due to several reasons. The main reason is the amount of academic work, it may be from procrastination. Whether it is in between classes, or just trying to sneak a nap into the day before a homework assign, napping is prominent. What exactly defines a nap? Merriam-Webster defines it by the definition of “to sleep briefly especially during the day”. Interesting enough, naps only that last between 20-30 minutes can have tremendous effects on your body and your mind. Naps have the capability to alter your mood in a positive way and also can increase one’s alertness. According to a study on this website, NASA found that a 40 minute nap can increase alertness by 100%. Some prominent figures have been guilty of taking naps during their lives, maybe even too much. Former President George W. Bush and Albert Einstein are known for napping. Believe it or not, there is more than one type of nap. There are three categories of naps,technically. Planned Naps -> When a person will be up late so they take a nap before they do homework. 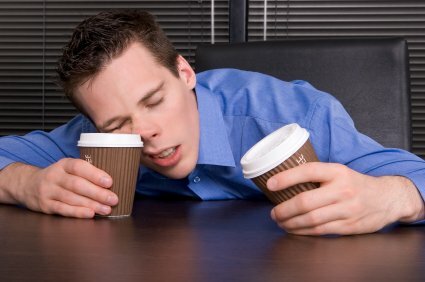 Emergency Naps -> When a person is tired and can not continue their activity that they were engaging in. 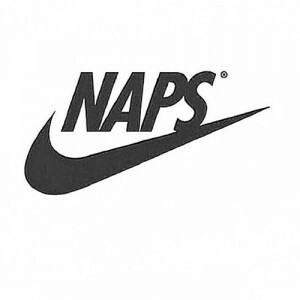 Habitual naps -> When a persons naps at the same time everyday. Clearly there are benefits to napping. The main intention of napping is to restore alertness in one”s self. There are also some physiological benefits in napping, you brain benefits from it because rest is crucial to proper brain functionality. A study compiled at St John’s Mercy medical center and the St Luke’s hospital found some benefits in the combination of napping and caffeine. 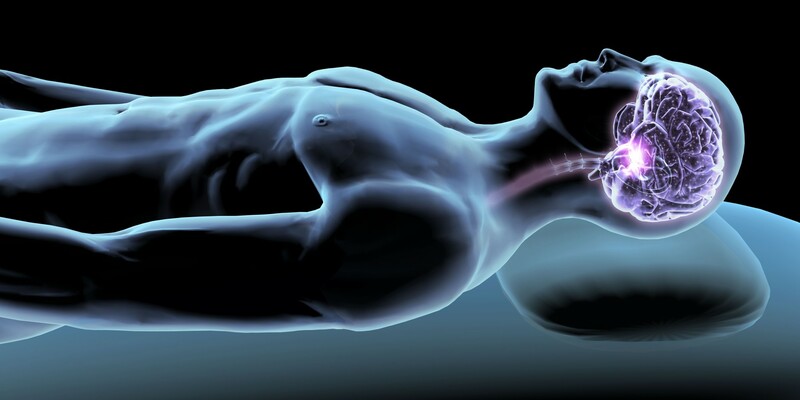 When you nap, one’s perception increases and you actually reduce then risk of heart diseases by 37 % when you nap. The best thing time interval to nap would be a 45 minute nap. A specific study done by Axel Mckelclinger that appeared Media News today report found some very interesting results. Numerous people were asked to participate in this experiment. All of the volunteers were asked to memorize 90 words as well as 120 randomized word pairs. Half of the volunteers took a nap and the other half watched a movie. The results of the second test were lower for both groups, but the nappers scored much higher than the movie watchers. This was not due to chance due to the number of contestants. Naps are a crucial part of college, and you should try to utilize them as much as possible. Of course there are a few negative effects to napping, such as laziness or it can alter your sleep schedule. Napping is something that many of us do, but we do not realize how great it can be for us. Napping increases are functionality and our cognitive skills. Napping is something we take for granted. This entry was posted in Uncategorized on October 18, 2016 by Michael David Kresovich. 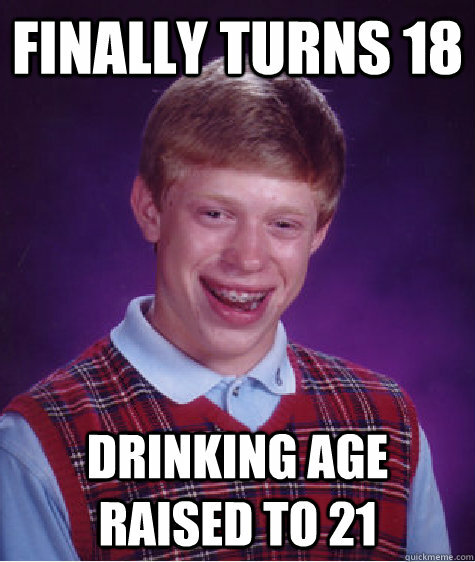 Should the drinking age be 18 or 21? 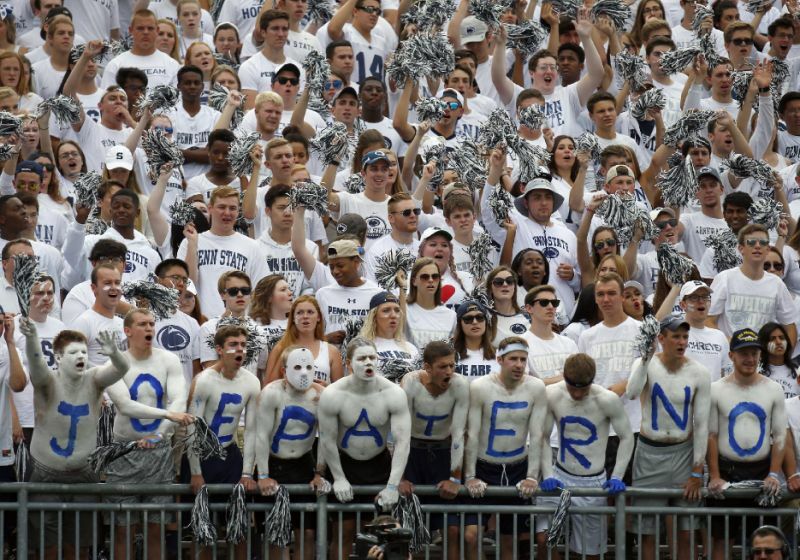 As one of the best party schools in the nation, Penn State is no stranger to underage drinking. Yes, Penn State students may drink, on average, more than students attending other universities, but this phenomenon of drinking alcohol occurs at every college across America. Before 1984, many scientists, parents, and concerned adults worried that the drinking age of 18 was too low as the age group with the most common drunk drivers was 16-20 year olds. Once President Reagan virtually forced each state to increase the drinking age to 21 on July 17, 1984, the percentage of drivers involved in deadly car crashes decreased dramatically for 16-20 year-olds. In 1982, 61% of fatal car accidents involved people from this age group, yet by 1995, only 31% of these accidents involved people between the ages of 16 and 20 years old. Nevertheless, does this evidence prove that President Reagan made the correct decision in raising the drinking age to 21, or are there other factors that could indicate otherwise? 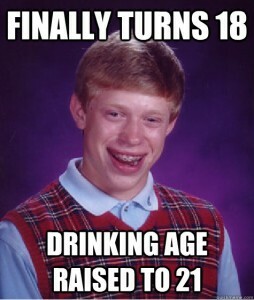 According to a petition trying to return the drinking age to 18, about 77% of countries around the world implement a drinking age of 18 or less. 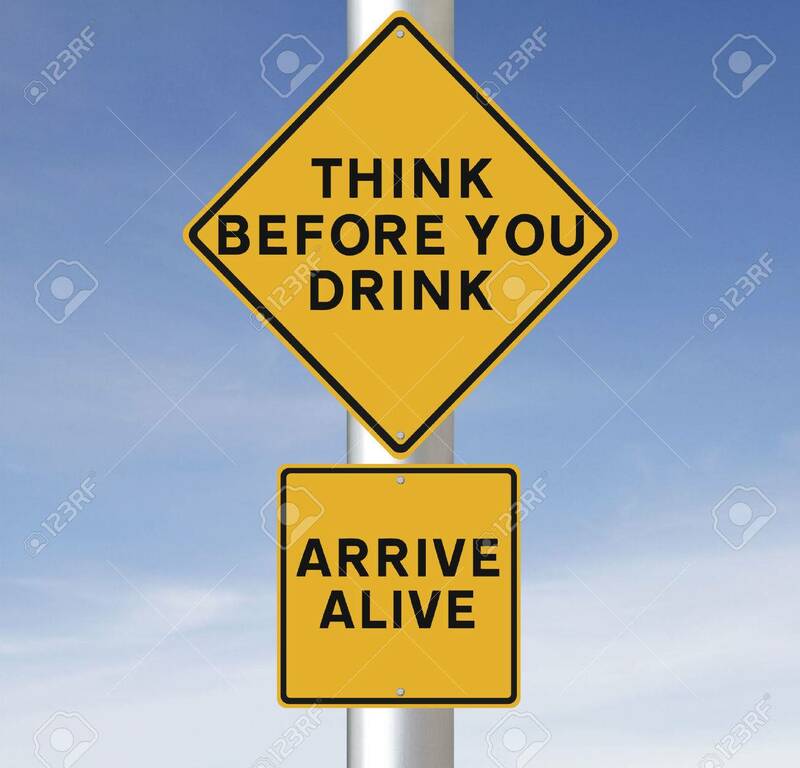 Additionally, the United States, even with the drinking age at 21, ranks third out of all countries in percentage of road accident fatalities involving alcohol, with 31%. According to Professor Ruth C. Engs of Indiana University, the decline in drunk driving incidents began in 1980, not 1984, and was due to numerous confounding variables other than the legal drinking age being raised to 21. For instance, awareness of driving inebriated has increased since 1980. 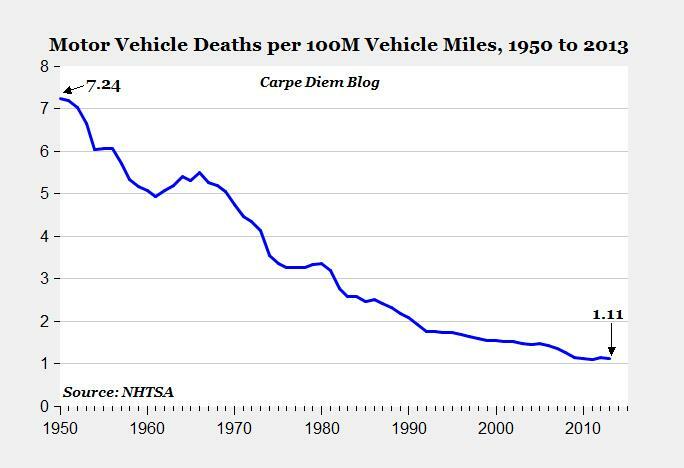 Furthermore, driving in general has become less dangerous with safer automobiles, lower speed limits, increased use of seat belts and air bags, and increased use of taxis or Ubers to drive people under the influence rather than them driving themselves. Besides third variables possibly discrediting the belief that the increase in the drinking age has helped reduce drunk driving incidents in America, there is evidence that this law may actually be hurting young adults more than helping them. According to John McCardell, the president of Middlebury College, students under 21 years old are attracted to risk, causing them to drink more often. Similarly, since they are technically not allowed to drink, many young adults will binge drink before going out in public. Although this is just an anecdote, without any real scientific method being applied, McCardell could be on to something. Among college students who drink, 32% of the students under 21 consider themselves heavy drinkers (over five drinks per week), compared to just 24% for students over 21. Scientists worry that heavy drinking in a short amount of time should be a larger concern for young adults as binge drinking can impair the prefrontal cortex of the brain, which is still developing for young adults. The prefrontal cortex gives people the ability to judge consequences of their actions, have control of their urges, and experience abstract thought, which are all clearly essential for young adults to have. 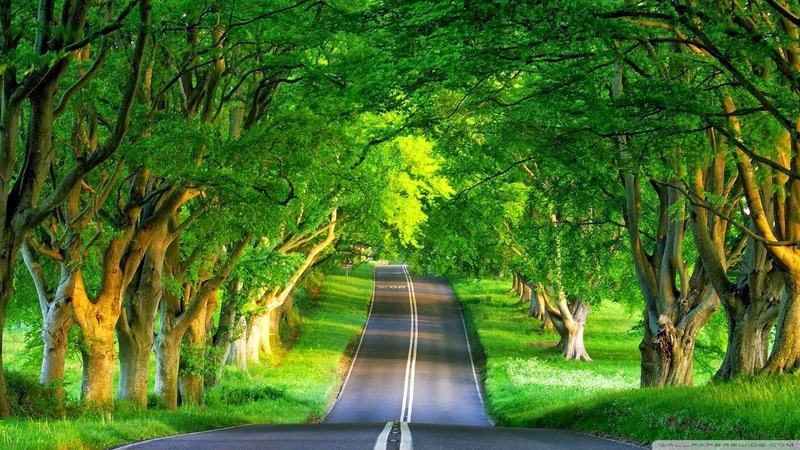 Nevertheless, there are plenty of reasons why MADD, Mothers Against Drunk Driving, and other groups argued as ardently as they did to raise the drinking age to 21. Primarily, experiments performed in the late 1970s and early 1980s compared states with different drinking ages, but similar cultures to remove certain confounding variables. The evidence in favor of raising the drinking age was overwhelming. Furthermore, once states increased the drinking age to 21, alcohol-related driving accidents immediately dropped. Researchers have even taken into account third variables such as seat-belt use, safer car designs, and drinking rates in each region, yet the evidence still supports that the frequency of drunk driving incidents decreases for people between the ages of 21 and 30, and declines even more dramatically for people under 21 when the drinking age is raised to 21. According to James C. Fell, the drinking age should be 21 because young people get drunk twice as fast as adults, yet young people find it difficult to know when to stop. Fell continues to argue that the drinking age should remain 21 due to the harming of young adults’ developing brains, the reduction of car accidents, and the welfare of young adults in general. Lastly, according to Gabrielle Glaser, a study conducted from 1998-2005 showed that the number of people between the age of 18 and 24 who suffered alcohol-poisoning deaths almost tripled in this seven-year timespan. Although many believe this argument has been settled years ago when the drinking age was changed to 21, the debate over changing the drinking age in America still persists to this day. Many studies have been carried out and there is plenty of evidence to support both sides. Raising the drinking age may help to prevent drunk driving, but may also cause teens to drink more (and binge drink more) because they are attracted to risk. Both of these conclusions, however, are soft endpoints. Still, common sense tells us that drunk driving obviously causes more fatalities from car accidents and that more binge drinking cannot be healthy for teens’ developing brain and for their overall safety. Experiments to decide which drinking age is better are practically impossible to conduct because scientists cannot make a large population of people drink or not drink based on their ages and see over the next few years which groups were in more fatal car accidents or suffered more brain impairments. An experiment like this would be immoral and not realistic. Nevertheless, observational studies can be very reliable if confounding variables can be accounted for. 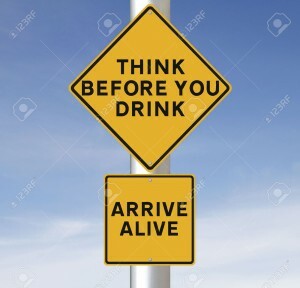 I am on the fence about whether the drinking age should be 18 or 21, but what struck me was that researchers have taken into account these third variables, and the rate of fatal car accidents still decreased drastically after the drinking age was raised to 21. I find this study very difficult to argue with the results. Therefore, I believe the drinking age should remain at 21 in America as lowering it to 18 would be too risky and could be harmful to many young adults, but with more research, I would be willing to change my mind. This entry was posted in Uncategorized on October 18, 2016 by Anthony Michael Calligaro. 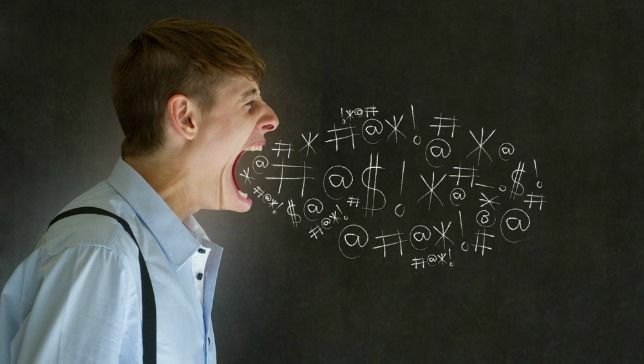 Does Being a Pottymouth Mean You’re Dumber? 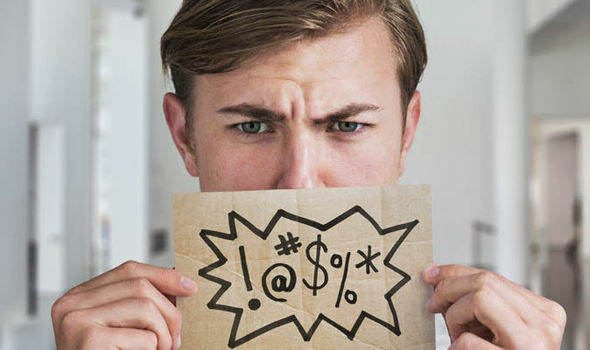 Swear words are a part of everyday interactions; while some find them funny, others find them downright offensive. As students on a college campus, cursing is a normal way of communicating (at least, for the majority of us), and even I’ll admit that I tend to curse a lot in conversations with friends. I find it perfectly acceptable if it’s not in a formal setting where respect is necessary. However, not everyone agrees with my philosophy and find swearing to be incredibly rude at any time. Not only that, but some even think that cursing indicates that someone is over a lower intelligence and that they can’t think of any other words to use. I disagree with this idea, since I think of myself as a relatively intelligent person who happens to swear a lot. So, I decided to ask the question: does swearing correlate with a lack of intelligence? Of course, correlation does not equal causation, especially in this scenario. I’m not trying to find out if swearing causes low intelligence, but rather if there’s a link between the two to begin with. The notion that the use of curse words indicates a lower intelligence is not a new one. In fact, it has even been suggested that using such profane language can change perceptions of other attributes. In this study published by researchers in Kentucky, it was found that people viewed police officers as less friendly, just, and fair if they swore. The participants in the experiment were shown videos of police officers stopping people for traffic violations. In some of these videos, the police officers used one curse word, while they used none in others. After the videos, participants rated the character of the officers. The scientists saw with these evaluations that police officers were rated more negatively if they swore than if they didn’t. While this study does show that people may view swearing as damaging to someone’s character, it should still be viewed with some skepticism. Even the study itself cites potential sources of error. This includes the fact that they used different swear words depending on the category of profanity (sexual, religious, etc.) and didn’t use the same curse word across all the videos. What this means is that people could see different words as more or less offensive, and thus rate the officer differently. Another confounding variable is that people may hold police officers to a higher standard due to their conceptions of the job. So, the evidence against swearing can be viewed with some skepticism, which removes some of its credibility. 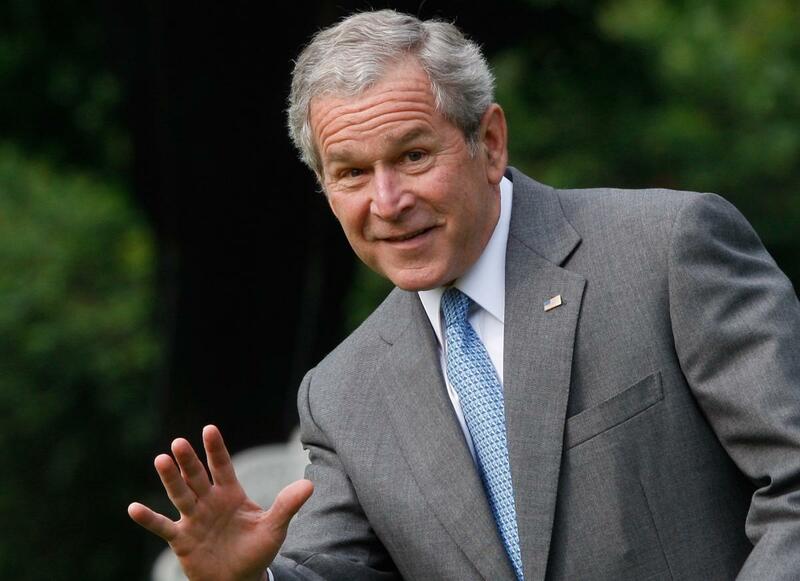 The idea that people who swear more are dumber can also be viewed in the same light. Studies have shown that this link does not hold up during experiments. In this study, intelligence as it relates to swearing was tested directly by having 46 college students complete both a survey rating their frequency of swearing and an IQ test. The results were not statistically significant enough to state that cursing impacts intelligence in either direction. Therefore, cursing indicates neither high nor low intelligence. Although the study failed to reject the null hypothesis, it did find an interesting link between a higher IQ and a higher desire to increase vocabulary. That intriguing discovery is unfortunately not relevant to the matter at hand, however. While the previous study showed no relationship at all, another study discovered a more positive link between swearing and intelligence. This experiment asked participants to take a test measuring fluency in words that are considered “taboo,” aka profane language, as well as a test measuring fluency with words in general and in other areas. There was a positive correlation between scoring highly on the taboo test and scoring highly in general fluency and other areas of fluency. This supports the idea that someone who is fluent in swear words and other profane language is likely fluent in other areas of language as well. The conclusion of this study undermines the idea that those who swear and have knowledge of swear words are less intelligent. Overall, I find myself unable to come to a definite conclusion on either side. Based on the studies and research I found, it seems to be that swearing is not an indicator of level of intelligence, even though people may perceive you more negatively if you do. It certainly appears that those who do swear a lot are not any less intelligent than those who refrain from cursing, and their usage may even be correlated with good language skills in general. While people may perceive others who swear as having less desirable attributes, there seems to be no scientific basis to do so, and I think that I will happily continue to swear if the situation is appropriate. This entry was posted in Uncategorized on October 18, 2016 by Margaret Eppinger. The other night, I woke up in a cold sweat. I had a strange dream where my dad drove me and the rest of my family off a bridge and into the river below (The Delaware, to be more specific). My first move upon waking up was to text my friend Fran. She’s always felt particularly drawn towards things like this – horoscopes, psychics, dream interpretation, etc. She told me something about being afraid of ‘drowning’ in my responsibilities and while she really wasn’t far off, it felt like a very general answer. Who isn’t afraid of their responsibilities in some sense? 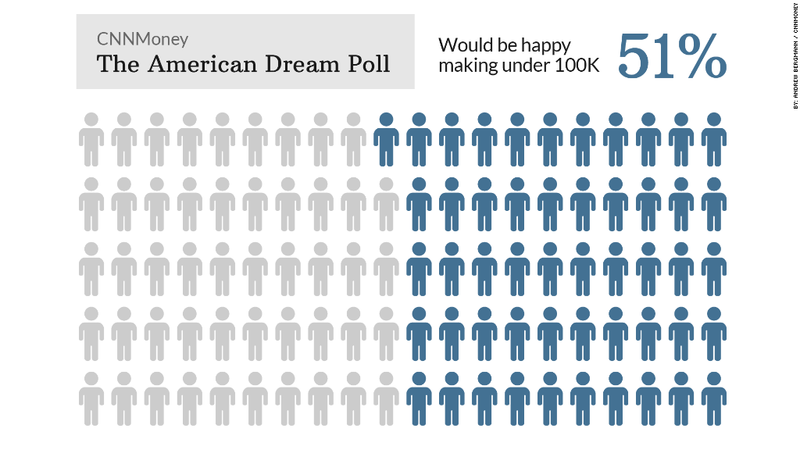 So I began to wonder if there was any scientific explanation for why we dream what we do. My first article dealt with many different ways scientists have thought about dreams. It first detailed a study which was performed in order to pinpoint when dreams were happening, as it was theorized it was during REM sleep. REM stands for “rapid eye movement”, as the eyes of the sleeping person move back and forth during this part of the sleep cycle. Additionally, brain waves function similarly as if the person was awake. The study measured volunteer’s eye movements, brain waves, and other biological functions as they slept. Then, the researchers would wake the volunteer as they began to enter REM sleep. 80% of the volunteers said they were dreaming upon being awoken. Two scientists, Dr. Crick and Dr. Mitchison, deny that these brain waves actually mean anything. They theorized that dreams are just meaningless brain connections happening as someone’s brain rests at the end of the day, a sort of software check that the brain does, if you will. Researchers who have continued this line of thought have also explored the idea that the strange content of dreams isn’t due to anything psychological in nature, but is due to the random nature of the brain’s activity. This article came to nothing conclusive and did not point to any significant studies besides the one that proved when dreams happened, so I continued my search elsewhere. 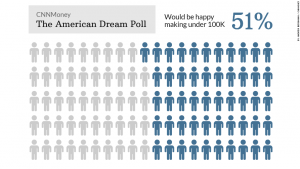 The second article, published in Scientific American, provided more up to date information on dreams. It discusses how technological advancement which has lead to new and better dream related theories. The two theories discussed are: “activation-synthesis hypothesis” and the “threat simulation theory”. The former argues that dreams have no intrinsic meaning. It is random brain activity that we experience by the brain taking random life experiences and relaying them as images or scenes. The idea that dreams are a story is also constructed by us, according to the hypothesis. We want to make sense of these images, so we try to make them into a narrative. The “threat simulation theory” suggests that dreams put us in situations that would prepare us for them in real life, as a sort of evolutionary tool to prepare us for threats. However it wasn’t until recently that any concrete evidence was behind any theory related to dreams. But the article continues by saying that a study performed by the University of Rome as reported by the Journal of Neuroscience found some kind of evidence. 65 students were left to sleep in this study and woken at various intervals and asked to record in a diary whether or not they had a dream, and what it was about. The conclusion of this study corroborated the one from my first article, in that it found that waking the student up during REM sleep lead to the most dream-related recollection. However it also found that students who experienced the most low frequency activity in their frontal lobes also remembered their dreams, and as the frontal lobe is connected to the construction and retrieval of memories, it suggests that it’s quite possible that memory is connected to our dreams. One study cannot prove this, however. So the same team of researchers then went on to look into intensely emotional dreams. Using an MRI machine, they found that the amygdala (connected to emotion and memory) and the hippocampus (connected to memory) were activated during these dreams. This is promising in suggesting that our dreams do in fact have something to do with our life experiences and may actually be connected to them in some sense. Once again, two studies don’t necessarily prove anything, but scientists seem to be getting a bit closer to answering this age old question. I think it is only in time that we will fully be able to conclude anything about dreams and our subconscious. This entry was posted in Uncategorized on October 18, 2016 by Sarah Tarczewski. I am certainly one to make a joke claiming I have OCD (obsessive compulsive disorder) and need to have everything perfect. This behavior however was much more inappropriate than I realized until I decided to research OCD, a topic I THOUGHT, I understood. OCD is in fact a real disorder that people struggle with. Recent media attention has been working to fight the humorous way OCD is regarded in order help raise awareness about what is in fact a serious mental illness. My attention was brought to this topic when just this week, celebrity and my favorite actress Amanda Seyfried revealed her struggle with OCD in an effort to inform the public about this commonly brushed-aside disorder. 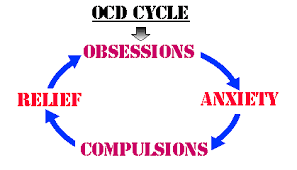 The International OCD Foundation describes Obsessive Compulsive Disorder as a mental illness where a person receives unwanted thoughts and feelings over imperfections and then is compulsed to address them to relieve their me ntal state. An obsession can be a fear of dirt and then a person will then feel compulsed to wash themselves repeatedly. Someone who has a fear of making a mistake may feel forced to continuously check their work. OCD was known before its mechanism or its “why.” It originally was believed that low levels of the neurotransmitter serotonin was the reason behind the disease. WebMD reports that now, OCD has been discovered to have both a biological and environmental origin. Scientists have found that the mental disease may be due to damage of pathways between judgment and planning sections and the areas that control physical movements. Harvard Health Publications also reported that getting strep throat could lead to OCD in young children. The antibodies of the infection enter the brain and invades the basal ganglia emotion and motor movements. Obsessive-compulsive disorder can also be triggered by a person’s environment. WebMD explains how abuse, death of a loved one, and school problems can result in OCD behaviors. OCD can be diagnosed with several steps. 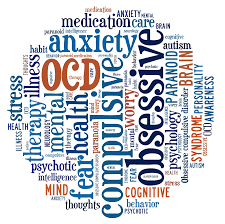 A physical exam is necessary to eliminate any other reasons for OCD symptoms. Next, a psychological evaluation is completed where a therapist refers to the Diagnostic and Statistical Manual of Mental Disorders. The Mayo Clinic however, exp lains that it is difficult to diagnose OCD because its symptoms are similar to other mental diseases such as anxiety disorders and schizophrenia. Obsessive Compulsive Disorder does not simply mean you need to have a clean room. Those struggling with the disease feel that they have no control of their own thoughts and that they must respond to these unwanted thoughts. It is something that Approximately 3.3 million people in the United States alone struggle with according to UOCD. This research serves as a reminder that Obsessive-compulsive disorder is a serious illness that should not be joked about. This entry was posted in Uncategorized on October 18, 2016 by Shannon Hughes. 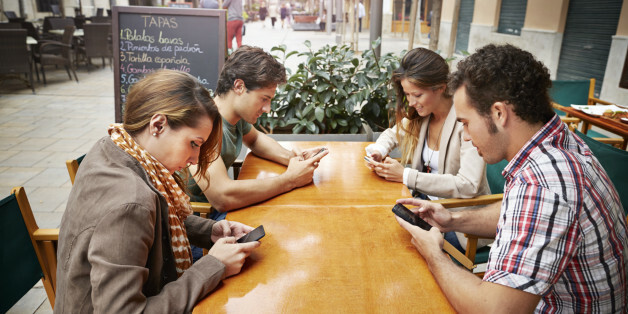 Is Technology Affecting Our Attention Span? I was chatting with a 5th grade teacher about his class a couple days ago and he said his entire class has trouble paying attention this year. He mentioned that it was not always this bad and that it is becoming worse over the years. I suggested that it might be due to technology since I believe that my attention span has gotten worse since I started using smart phones. 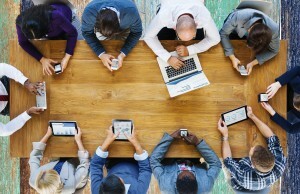 It seems that almost everyone has a problem focusing when they are around technology. That is why I like that laptops aren’t allowed in Andrew’s class. I can’t find myself sitting through a whole class without browsing the internet when I have my laptop with me. After chatting with the teacher, I went home and did some research to see if technology is really affecting our attention span. It turns out that a recent Microsoft Corporation study found that technology is impacting our ability to stay focused. They surveyed over 2,000 Canadians that were age 18 or older and also played online games. Their goal was to find out how technology was affecting their attention spans. In addition, they used electroencephalograms (EEG’s) to study the brain activity in over a 100 people. The results were a little shocking. Humans attention span had fallen from twelve seconds to eight seconds which is less than a goldfish’s average nine seconds. This loss in focus was seen in all age groups and genders but there were some other interesting results. One result was that females seemed to have a shorter attention span than males but was only by a very small margin. Another thing they found was that our ability to multitask was getting better. 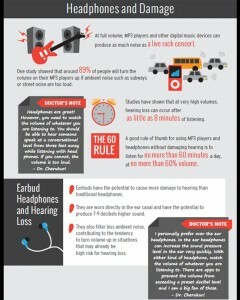 A smaller study by Dr Lee Hadlington of De Montford University Leicester found similar results. The study was done on 210 people that aged from 18 to 65. 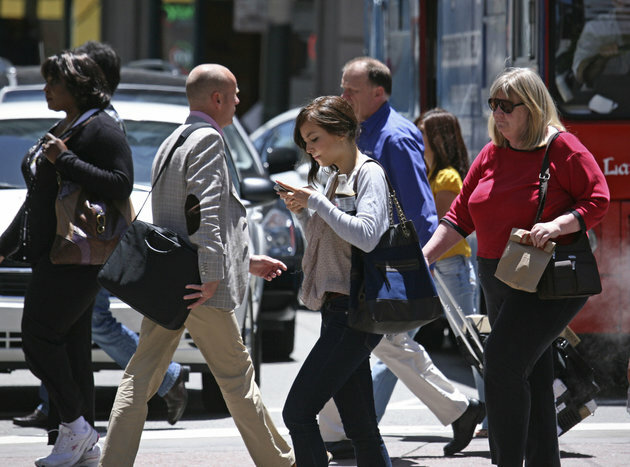 It found that people who used their phone the most frequently tended to have a worse attention span. Dr. Hadlington stresses that we should know more about the effects of technology because of the amount we use it and I couldn’t agree more. I think that more studies might reveal how technology can both benefit and harm us. Even though the study did find a link between attention span and technology use, Hadlington says it is not completely clear if technology is the cause of a smaller attention span. After doing a little bit more digging around the internet, I found article that goes against Microsoft’s findings. Scientific research found that some people that play video games have a better time paying attention than those that don’t play video games. It also showed that those who didn’t play video games could pay attention better after they started playing video games. It turns out the Microsoft study was mainly done for advertisers and it tells advertisers that they need to find more catchy ways to advertise. Companies seem to be fighting for our attention. The increase in advertisements in the modern world has also led to an increase in distractions. This is why you see you can pay to remove adds from certain apps like Pandora. 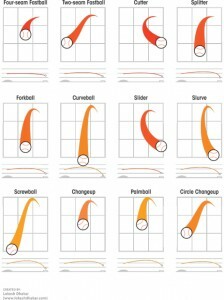 Human’s cognitive abilities change all the time and can even vary day by day. 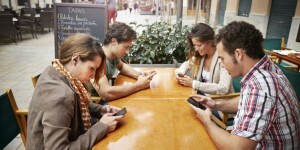 It is not completely clear what effect technology has on our attention span. Even though I technology might be the reason I can’t focus as well, it is very hard to prove that. One thing that is for sure, is that there needs to be more studies done on how technology affects humans. 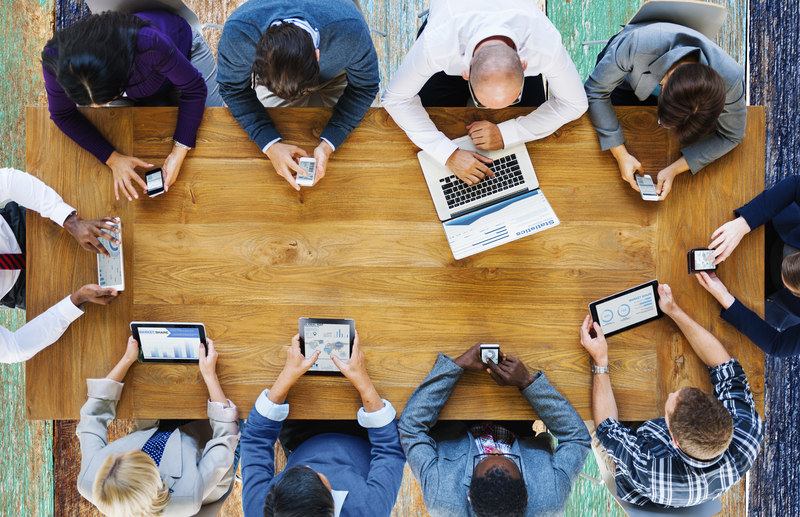 We all use technology on a daily basis but we have little comprehension of what it does to us. It is nice to be able to google the answer to almost question but is there a price to pay for that? Technology has it’s pros and cons but how does it affect humans? Hopefully science can answer that question soon. This entry was posted in Uncategorized on October 18, 2016 by Casey Andrew Schaum. In all my years of schooling, I have long wondered how people can go to sleep at 2, 3, 4, and even 5 in the morning and still be able to function throughout the day. I’m not the most organized person in terms of a sleep schedule, but I rarely venture out past 1 AM. If I regularly did, I’d probably drop dead walking between classes. Sleep. It’s a topic that’s always perplexed me. I’d like to answer some of the most common questions about sleep, once and for all. Why do humans really sleep? How much sleep do we need? And: what exactly can a good night’s sleep do for you? So, why sleep at all? My parents always told me that we need sleep because our body needs to rest from all the intense functioning throughout the day. To myself and many, this seems like pretty sound reasoning. However, scientists aren’t sure that sleep serves simply as an energy restoration period, where we take a break from our intensely active routines. In fact, our brain seems to be just as active, albeit in a different way, during sleep as it is during ‘functioning hours’. Skeptical still, other scientists have found stronger evidence that suggests that sleep is a period of memory consolidation. In other words, during sleep we convert short-term memory into long term memory, according to IFL Science. Let’s explore these 2 theories. One way I think of sleep is similar to charging your phone at night. Your body is like your phone, sleep is like your charger, and in order to restore its battery, you shouldn’t use it! But it’s not quite that simple. There are two distinct periods of sleep: slow-wave sleep (SWS) and rapid eye movement (REM). SWS is the first period of sleep and is what we call “deep sleep”. According to Scientific American, it is “characterized by large, slow brain waves, relaxed muscles and slow, deep breathing, which may help the brain and body to recuperate after a long day.” So maybe there is some evidence to support sleep as a recovery phase. However, this becomes less certain when we consider REM. During this phase of sleep, which is when dreaming occurs, the brain is in an intensely hyperactive state. Breathing and heartbeat function irregularly, and the body becomes virtually paralyzed amid this dream state. Due to the neurological hyperactivity associated with REM, scientists cannot say that sleep is solely a recovery period. Many scientists believe that sleep serves as a tool for memory consolidation. Researchers analyzed the results of 1995, 1997, and 2003 studies on human sleep deprivation. They found that the overall ability of memory sleep-deprived subjects was significantly impaired, though this could be due to a confounding variable; stress is known to cause difficulty in memory recollection. Scientists have concluded that experimenting with sleep deprivation to determine whether sleep is used for memory consolidation is problematic due to confounding variables such as stress. Despite the ongoing debate of the purpose of sleep, we know that sleep is necessary, and sleeping has various advantage’s to one’s overall well-being health and lifestyle benefits. I have had many teachers and adults alike tell me that proper sleep is imperative if one wants to achieve success. However, I have anecdotal data which leads me to be skeptical of this statement. 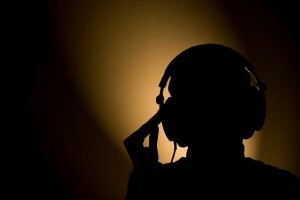 As a musician, I have been well-aware of how our kind openly neglects proper sleeping habits. Countless times I have heard prominent musicians attribute their success, in part, to those cliché nights where they stay up all night creating music–pursuing their artistic vision. One of my favorite bands of all time is the great Led Zeppelin. In their live album/concert video “The Song Remains the Same,” I recall Robert Plant and Jimmy Page telling the interviewer about how they often fly from show to show, sometimes without any sleep at all, and still perform grueling 2 or 3 hour sets (possibly with the help of ‘substances’, but nevertheless…). In fact, guitarist Jimmy Page has claimed that he ACTUALLY plays better when he is exhausted. The Mayo Clinic states: “Some people claim to feel rested on just a few hours of sleep a night, but their performance is likely affected. Research shows that people who sleep so little over many nights don’t perform as well on complex mental tasks as do people who get closer to seven hours of sleep a night.” So, the excellence of Page & Company can be attributed to their extraordinary talent, which apparently was not too significantly altered by inadequate sleeping. According to their guidelines, the Mayo Clinic suggests that Adults (18+) need 7-9 hours of sleep per night for ideal functioning. However, they mention, this number is variable depending on certain factors including physical exercise/exhaustion and previous sleep deprivation. While we can’t yet identify the exact purpose of sleep, it is clearly necessary for survival. If achieved in the proper quantity and quality, sleep can positively impact your life. It can improve focus and give you the energy to have a productive day. And although many musicians like Jimmy Page will claim that sleep deprivation can benefit your work, there is no evidence to support that statement. So I leave you with the unsatisfying conclusion that we really don’t know the truth behind sleep. If you can find evidence that supports the notion that less sleep is somehow beneficial to you, please let me know. Otherwise, I recommend shooting for at least 7 hours. I think most scientists would agree with me. The brain and sleep are areas of science that remain vastly unexplored, deeply mysterious, and immensely interesting. This entry was posted in Uncategorized on October 18, 2016 by Alexander Nicholas Cautela. Picture this scenario: you are walking to class, thinking about how you can manage your time today to not only fit in studying for a test you have in two days, but also a paper that is due by the end of the week. It stresses you out and then you see it. 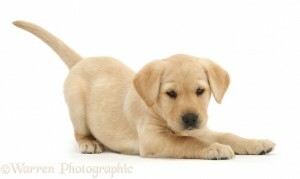 . . a labrador retriever puppy. You take a break from stressing out to play with the dog. 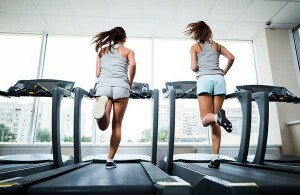 Suddenly, everything does not seem so bad and you continue your day with a more positive and healthier state of mind. This scenario that I have created is one that I have experienced more than once. This same sense of relief that I experience when I encounter a dog on my way to class is reportedly experienced by first-year college students who feel homesick. In order to determine whether or not there is a positive causal relationship between first-year college students who are homesick and interact with dogs, Dr. John Tyler Binfet conducted an experimental study. In this study, a total group of 44 first-year college students who felt homesick were randomly split into two groups: a control group and an experimental group. The null hypothesis of this experiment is that there would be no difference between the experimental group and the control group. On the contrary, the alternative hypothesis is that there would be a significant difference between the control group and the experimental group as the experimental group is expected to be positively impacted with the weekly interaction of puppies and the control group’s homesickness should continue to worsen. The experimental group attended eight weekly 45 minute sessions in which they interacted with dogs. At the conclusion of the eight week study, the experimental group stated that they were significantly more satisfied with their college experience having interacted with the dogs weekly. On the contrary, the control group continued to become even more homesick. To conclude, the alternative hypothesis proved to be correct as there was a significant difference between the experimental group and the control group. The experimental groups’ positive reaction to the weekly interactions with puppies can serve as a reliable example about how to remedy homesickness, but does not necessarily serve as a “cure” being that this experiment was done using only 44 volunteers in total. In addition, not all people like dogs so this remedy will not act as a panacea for all first-year college students experiencing homesickness. With this being said, homesick or not, I would love to have weekly interactions with dogs just to relieve stress! This entry was posted in Uncategorized on October 18, 2016 by Mairead Donnard. Why do college kids get sick so often? I feel it is necessary to write about this because not only have I gotten really sick in the almost nine weeks I’ve been at Penn State, but I know for a fact a lot of other people have too because of the constant coughing I hear in all of my classes. I just recently recovered from being sick for two weeks. I had a cough, runny nose, and a fever. Not fun. I thought it was just because I came from California, where the weather is perfect, to Pennsylvania where the climate is completely different. I reached out to my friends back home, and a lot of them had gotten sick as well. I knew there must be something deeper going on. The null hypothesis, where it is believed nothing is going on, is that all these college students just got sick at the same time out of mere chance. The alternative hypothesis is that there are many different variables, that usually aren’t taken into account, playing a role in college students, like myself, getting sick. I have a general idea of why college students would get sick. My doctor told me that I am surrounded by germs in my dorm so that could cause my sickness. I also don’t get much sleep, and my mom being a nurse has told me that if I don’t get enough sleep, my immune system can weaken. So with this basic knowledge, I did some further research to find factual reasons why college students get sick. I first looked into if sleep weakens my immune system and if that would cause me to get sick more easily. I cam across a blog called The Reason College Kids Get Sick. 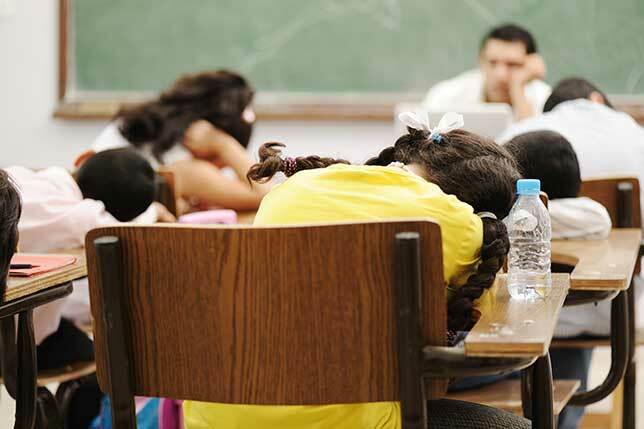 According to the blog, when a student gets a lack of sleep, their resistance wears down and they are more susceptible to getting sick. My only question was what did they mean by resistance? I understand that they mean a resistance to sickness but I looked into it some more. According to this article I found, sleep and lack of it affect the immune system. The immune system is the resistance to any sickness you encounter. What I know about the immune system is that if you continuously get sick, your immune system weakens every time. So if sleep is interrelated with the immune system, then you should be getting more sleep to maintain it. Another cause of sickness is exposure to germs in the dorms. I am aware that being around all different kinds of people. The bathrooms are very dirty and it is very easy to spread germs and get other peoples germs. According to the department of health, there are two types of germs which are bacteria and viruses. These are easily contracted in dorm style living. This article says that if any of these germs get into your body, it can stop regular body processes and make you sick. Overall, having good hygiene and having good habits can help you prevent getting sick. My alternative hypothesis was correct. 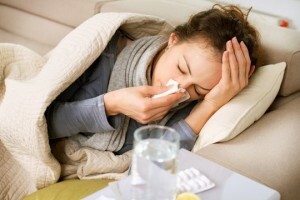 There are third variables that cause college students to get sick easily. No matter where you start college at, you are bound to get sick. Being around new people can help you socially but can also harm your immune system so just make sure to have good hygiene and get good sleep. This will at least lessen your chance of getting sick. This entry was posted in Uncategorized on October 18, 2016 by gcm5149. Are our personalities determined by genetics or do our experiences shape us? In my philosophy class, we’ve discussed two different theories of development: the continuous model and the traumatic model. The continuous model states that who we are as adults is exactly who we were as children – just physically grown. The traumatic model takes more of a Freudian perspective in that it posits that who we are is a reflection of the traumatic experiences we had as children. This discussing had me wondering. Is there any truth to either of these models? Is it possible that both are true, or perhaps even neither? What makes us who we are? To begin my search I conducted a Google search of my question. Through this search, I came upon a few different studies. The first, as reported in the New York Times, cited a study conducted by the University of Minnesota. The results of this study found that personality traits are mostly inherited. From 1979-1986, 350 twins pairs underwent various forms of testing, ranging from drawing blood to taking a personality evaluation test. The conclusion of the study found that more than half of the test personality traits were hereditary, as opposed to due to the person’s environment. This is further backed up when considering that out of the 350 pairs of twins studied, 65 pairs were raised apart from each other. Yet, their personalities were still remarkably similar. The next study I found, from Edinburgh University, corroborated the first study’s findings. The university studied more than 800 sets of identical and fraternal twins in order to determine what effects nature or nurture has had on these peoples’ success in life. The participants were asked a series of questions which were then analyzed to determine the traits of the people studied. The results found that identical twins were twice as likely as the fraternal twins to have the same traits, which suggests that DNA has a strong impact on personality. 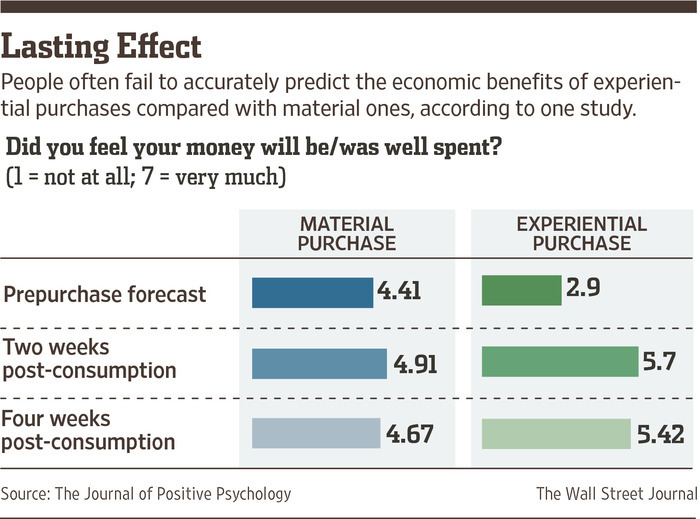 It is wise to remain skeptical though, as we have learned in class that correlation does not equal causation. Although the two studies seemed credible, I wasn’t yet convinced. I tried to find evidence of a differing scientific opinion, however, I was less than thrilled with my discovery. Researchers at the University of Exeter and the University of Hamburg determined that environment plays a stronger role in shaping personality than genes, however, their study dealt with zebra finches and not humans.These finches were taken from their birth parents and placed in a foster environment. Researchers found that these foster finches had more of an influence on their children than genetics seemed to. Personality was more dependent on environment for these birds than genetics, although researchers did acknowledge that offspring size of these finches did seem to be genetically inherited. Overall, it seemed that through the various studies I found, some not included in this post, corroborated the idea that personality is largely genetically inherited. However, this clearly isn’t the only thing that defines one’s personality. It is such a complex thing that encompasses many factors, so it is impossible to say conclusively in any of the studies that genetics is that only thing that makes up someone’s traits. Cigarettes have been a worldwide problem. We can see people smoke everywhere on the street. Smokers always said they would quit smoke, but they barely success and the still enormous number of people pick up this habit every year. Why does this happen? Even for me, I am a smoker, and I smoke about ten cigarettes per day before I came to college, now I only smoke 3 or 4 per day because my girlfriend set a strict limit on some cigarettes for me. As a cigarettes smoker, I feel hard for me to quit, not just the addiction for nicotine but other factors. I still remember one of my friends said people must get addicted to something in his/her life. I am not judge if this is right, but people did do that. Someone addicted to alcohol; someone addicted to reading; someone addicted to painting, and someone addicted to video games, etc. For me, I chose to addict to cigarettes; I like to smoke cigarettes, and I am not afraid to get addicted to it. From my experience, one of the reasons why so many people still join smoke is teenagers think smoking is a cool thing. The first touch of cigarettes is because I am out of curiosity for smoking cigarettes and it looks so cool. I want to know why so many people like it, so I tried it once, and It makes me keep a cough; I don’t like this thing in my first experience. It tastes just like burning grasses. Since that I did not touch cigarettes in one year, until one party my friend give one cigarette to me. I said I don’t like this, and my friend said, oh man! Why don’t you smoke? That is not cool! Then, he showed me how to smoke; I am a young boy of high self-respect, and I tried it serval times. Finally, I did like this felling. I began to think it is a cool thing to do. During a class break, several friends gathering at the restroom to smoke together, it feels so good, not the cigarettes but the feeling you think everyone thinks you are a cool guy, even the truth is most of them thinks you are a dumb. Here is an article to explicitly describe such action and mentality. There are other reasons for people don’t want to or make them can’t quit smoke. The reason smoke is kind of social contact that can make people more quickly to get close with other. Here is the article talks about social smoking. have more confidence, and I know better how to talk with people. That is permanently good thing cigarette brings to me. In China, most of the business meeting will have cigarettes, because that makes them more comfortable to talk; that has become current of the times. When you ask someone to do a favor for you, bring a cigarette will always make it easier. In conclusion, I do not encourage people to smoke cigarettes; I just expound my views toward cigarettes, and the benefits it brings to me. Also, that explained why it is so hard for a smoker to quit smoking. This entry was posted in Uncategorized on October 18, 2016 by Wencong Wang. 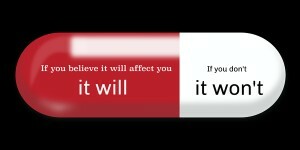 The placebo effect is an idea that has always fascinated me. I struggled at first to wrap my head around the concept of it. Basically, it is when someone reports feeling better after receiving a drug that has no active medicine in it. Recently in class, we expanded on this topic to observe how placebos are commonly used in experiments involving new treatments to determine their effectiveness. The general idea of a placebo trial is where two groups of people are given a different drug. One groups drug contains no active medicine while the other one does. After receiving the treatment for a certain period of time, the two groups report on how it made them feel. This can help scientists determine what effects an active drn ug can have on an individual suffering from a specific illness. Now, the placebo effect is defined as “a beneficial effect, produced by a placebo drug or treatment, that cannot be attributed to the properties of the placebo itself, and must therefore be due to the patient’s belief in that treatment” Basically, it is when an individual is given drug that has no active medicine, but they are told it does. As a result the patient feels better despite the fact that he wasn’t actually given medicine. Now, I wanted to figure out if the placebo effect actually has an effect on a persons health, or is it a simple way to trick the body into healing. 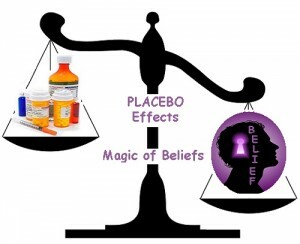 A study done in 2013 by Ted Kaptchuk perfectly depicts how the placebo effect works. In this experiment, he gathered a group of 270 subjects who all suffered from severe arm pain. He then randomly assigned patients to receive either a pill or an acupuncture treatment to relieve their pain. The catch of this experiment? The pills contained no medicine and the acupuncture needles were retractable shams. Basically the experiment provided no real medical treatment to patients, only two placebos. This type of experiment could be considered a placebo trial as neither of the two groups knew that their treatment was a fluke. The ull hypothesis would be that phony treatments do nothing, which would make the most sense. However, Dr Kaptchuk made a discovery that could slightly alter how we practice medicine. After two weeks of receiving phony treatment nearly a third of his patients claimed they were experiencing awful side effects from the drugs. Even more surprising, the other patients reported feeling real pain relief as a result of the treatment. The fake pills and acupuncture treatments had tricked patients into feeling better or worse, even though nothing was changing. So is this simply our mind playing tricks, or does the placebo effect really alter our symptoms? According to an article written in The Globe And Mall recent studies have shown that pain relieving opioids are released in the brains of patients receiving placebo treatment. This suggests that it could be a true biological phenomenon instead of a m edical fluke. Another theory suggests that the body remembers feeling better after taking previous pills, as a result it speeds up the healing process when a placebo is consumed. Although it is still unclear exactly how the placebo effect work, recent studies make it apparent that it is a real phenomenon. The placebo effect can lead to medical alterations of a persons body despite how sick they actually are. While we don’t know the mechanism behind the placebo effect, it is clear that this is a technique that can be applied to medical fields across the board. This entry was posted in Uncategorized on October 18, 2016 by Connor Edward Opalisky. 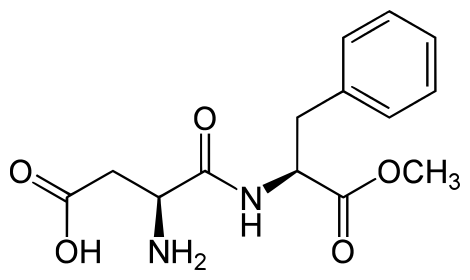 Does Adderall Actually Make You Smarter? my score. After doing some research, I agreed. The next day it seemed as though I could do anything. My brain was working on overdrive and my thoughts were all so clear and intellectually pleasing. It was a wonder drug. Now that I am at college I notice that drugs such as these are being relied on by students to pass. This got me wondering what exactly is Adderall? How does it effect the brain? Also, does it actually make a person smarter? According to drugs.com Adderall is a stimulant that alters chemical activity in the brain. It changes areas in the brain related to hyperactivity and impulse control. 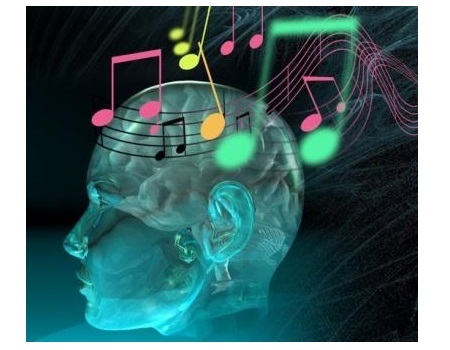 The change in brain activity usually leads to increased focus, an elevated pulse and a oost of positive energy. 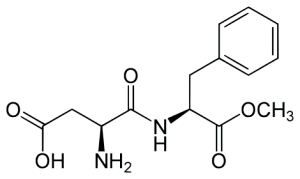 Adderrall is prescribed to people with ADD and narcolepsy. It can be habit forming if it is taken more frequently than recommended. A majority of prescribed users are given dosages that suit their medical needs. 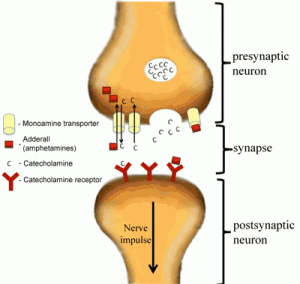 Anecdotal experiences and numerous studies have lead to strong evidence that drugs like Adderall work. 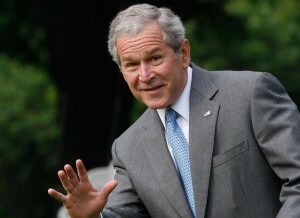 However a recent study posted in Time magazine argues that the drug might actually not make a person smarter. 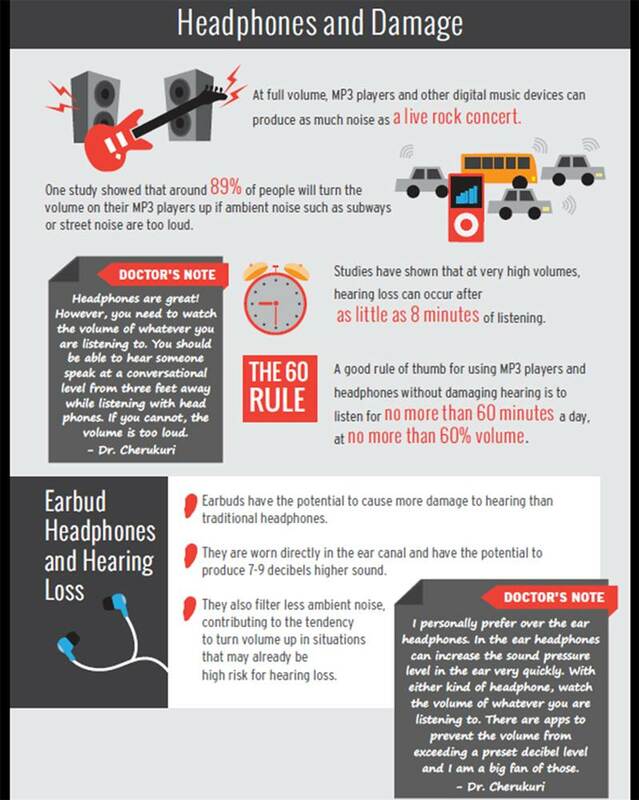 The study was done by Dr. Maria Farah and a team from the University of Pennsylvania. 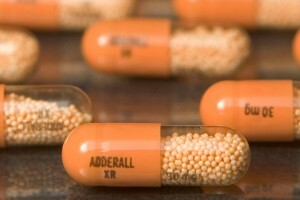 It revealed that individuals who took Adderall didn’t perform any better than those who didn’t. Instead, they merely thought they did. The study tested 47 participants on their cognitive performance after taking an Adderall or a placebo drug. They were then asked questions that ranged from raw intelligence to long term memory. The subjects did not know which pill they were taking, which made this study a blind placebo trial. If Adderall did increase intelligence, the results should have been that the placebo group performed worse than the group that received Adderall. What the study found was that the two groups performed virtually the same. Another discovery was that the group who took the Adderall was more likely to report that the pill had given them a cognitive advantage. The team explained that the drugs effect could merely be a mind trick. They suggest that it could be possible that Adderall gives students an inflated sense of productivity. in stead of actually making an individual smarter, it causes them to think they are. The team reached the conclusion that while Adderall could be improving cognitive performance, it is very possible that the drug simply makes studying more enjoyable as a result of the euphoric feeling. This means the the drug has no direct effect on a persons intelligence. This conclusion is very mind boggling as it completely alters how I view the drug. Although the study was only done on 47 participants, the logic behind the conclusion makes practical sense. Without solid evidence to pinpoint the exact effects of the drug it is difficult to determine wether it actually increases a persons intelligence. 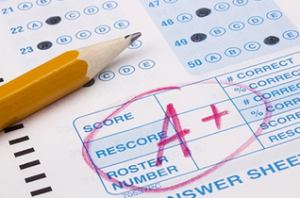 Despite the grey area surrounding how it works, it is certain that Adderall improves a students study habits. As a secondary education mathematics major, class size is always something that comes into discussion in my education classes. It seems that some of my professors have different opinions on this subject, and I want to know what is really the best for students, considering I will be in the classroom teaching these varying class sizes in four years. Coming from a relatively big high school to a huge university, I personally never minded big class sizes, but a lot of districts, including my own, always fought for smaller class sizes anyways. The people fighting, like school board members and politicians, insist that smaller class sizes are beneficial for everyone and that students will learn more with more individualized attention, but I am not too sure that it is always necessary to have super small classes. I believe that students learn from each other and group work is essential, especially in math where teaching someone else how to do something can actually help you learn it yourself. My hypothesis is that class size does not matter, as long as the students comfortably fit in the classroom, after the students’ initial foundation is built in the elementary and middle school years. Once the students have a solid foundation to build off of, they should not need as much individualized attention. I also believe that students should be able to self-regulate their learning by high school, and if they know that they need more individualized attention to go over a certain topic, they can stay after school or go to office hours in order to get the help that they need. Since this extra help is more readily available than in the earlier years of education, I think that smaller class sizes are not nearly as important in high school and beyond. After doing some research, I was able to come across this meta-analysis, a study where multiple studies are taken into consideration and compared to come to a more confident conclusion, and I found that this question of the effects of class sizes is not an easy question to answer. Many studies have been conducted on the question of class size and a lot of them came to very different conclusions. In this meta-analysis, Ofsted’s study is referenced where it was found that it was not the class size that affected the students’ achievement but the teacher’s ability to teach. However, in the Blatchford and Mortimore study it was found that there was a correlation between class size and student achievement showing that in the first few years of education smaller class sizes produced higher achieving students. There are also other studies that come to more inconsistent conclusions about the effects of class sizes on students. Another interesting point in this meta-analysis is that teachers might just not know how to teach in each environment. Each class size comes with different benefits. Teachers with small class sizes have different opportunities than teachers with large class sizes, but being able to make the most of the class sizes is what really matters. Class size might not be the issue here; it might be a that teacher’s ability to teach larger classes is underdeveloped. 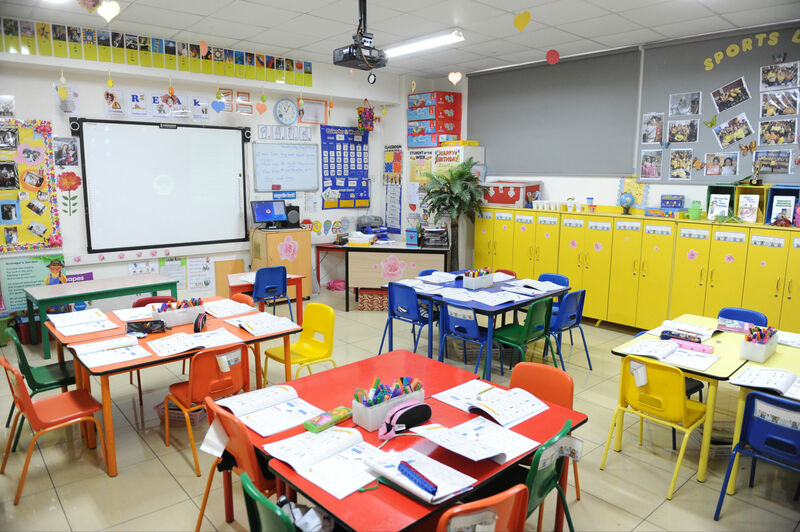 Classrooms are very complicated systems, and based on the studies that have been done, there is not much reason to believe that class size is solely the reason behind the conclusions being drawn. Perhaps the answer to this question on class sizes is not to raise taxes and hire more teachers in order to decrease class sizes, but to hire better teachers who are more highly trained to teach in either situation and who know how to make the most out of the opportunities in both classroom environments. Looking back on my hypothesis, I now realize that it is too broad of a question, especially because of all of the different conclusions that have been drawn on this topic. Even though according to Blatchford and Mortimore my hypothesis was partially correct, this has not been replicated enough and other conclusions have been made that do not support this finding. Class size is something that is very hard to study and in order to solve this question, experiments and observational studies will have to be planned very carefully in order to just be testing class size, and I do not see this happening in the near future. Either way, I know that with my wonderful education here at Penn State, I will be ready no matter what class size to teach my students and make the most out of all the opportunities I am given. This entry was posted in Uncategorized on October 18, 2016 by Jessica Heckler. Whenever I start to procrastinate I more often then not find myself watching cooking videos. I don’t know why, but something about them just fascinates me. A trend I’ve been noticing lately is a considerably larger amount of videos related to dry aging meats. So I’m curious, where did the process come from, what does it actually do, why is it surging in popularity now, and how far can we go with it. 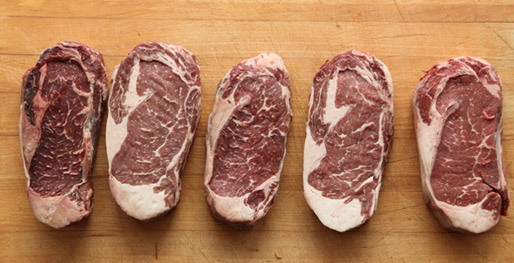 According to MyChicagoSteak the mainstream use of this process started around the1950’s, when butchers realized that storing their meats in an air controlled area led to a more developed flavor. But in order to properly dry age, they needed to have good cuts of meat, because a fat marble must be maintained throughout. As a result, dry aging was (and continues to be) a process that is only used in high-end steakhouses and butcher shops. So now that we know the history, what is dry aging? It’s when the cut of meat is taken and hung in a climate controlled room, with the temperature and humidity set at a point where harmful bacteria aren’t able to get to the meat. This is opposed to wet aging which is the common method for grocery store meats. (Wet aging is where they take the cut and then vacuum seal it in its own liquids and let it age like that.) While the meat is hanging there, the naturally occurring enzymes will begin to break down the muscle and fibrous tendons so that the meat becomes more tender. Also, because it is being stored in a cold chamber, the meat will become dehydrated. 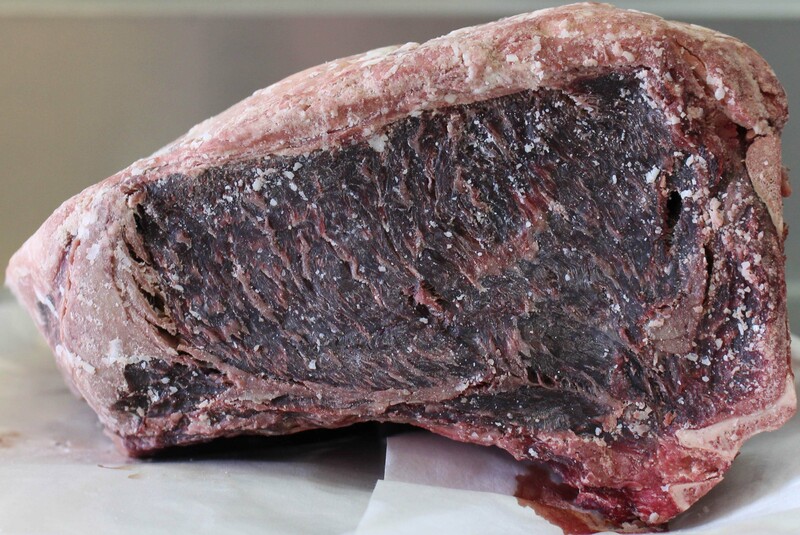 Debragga says that the process will cause a weight loss in the meat of around 10-15%, and then the outside layer has to be removed because it has begun to develop mold which can’t be consumed. For an in depth look at how the process is carried out, I found this article on the National Library of Medicine website to be helpful. So then, why is this relevant to today? Because as this has become more and more popular in the worlds steakhouses many people are trying to do this at home. But because you need to have extremely precise conditions for the aging process to occur, the tools for the job just don’t exist in many peoples kitchens. If you do have a way to control exact temperature and humidity, it is feasible to do it at home but again you need a high end cut of meat that is large enough to withstand the shrinkage. A helpful guide here walks through step by step of how to go about the process, from what meat to buy all the way to how to prepare it. So then how far can this process go? The current record is 15 years at a French steakhouse. But in a practical setting, high end restaurants are pushing for 100 days of dry aging as their new standard. While there is no technical limit to how far someone could push this process, there certainly would be a point of diminishing returns and it wouldn’t make economic sense to keep going. Next time you have a fancy steak dinner (which might not happen very often here at Penn State) take time to appreciate that what you are eating is the result of a lot of food science. There was a lot of thought and effort put into making that cut of meat more flavorful, and hopefully the end justifies the means. This entry was posted in Uncategorized on October 18, 2016 by Daniel J Lehecka. There is nothing like taking the first step onto the field or court and looking into the stands and seeing your fan base. Having your friends, family, school, and community all gather around in one location, with one common objective as they cheer for you is one of the most rewarding feeling for any athlete. These fans have spent their time, money and energy into rooting for you so why not give those fans what they came to see.. a win! I know from personal experience I always loved playing a game at home. Being able to walk from your own locker room onto your field as people are chanting your name and team makes you want to perform better and guarantee a victory not only for yourself but for them. Now as a fan of the Penn State Nittany Lions there is nothing better than screaming until your voice gives out after defeating a team at Beaver Stadium. So far this season we have greatly benefited playing at home as we have an 4-0 home record opposed to an 0-2 road record. So does this means home field advantage works? Home field advantage in sports gives the hosting team leverage over the team that travels there to compete. Statistics can prove this theory correct because teams who compete at home tend to win 60 percent more of the contests. 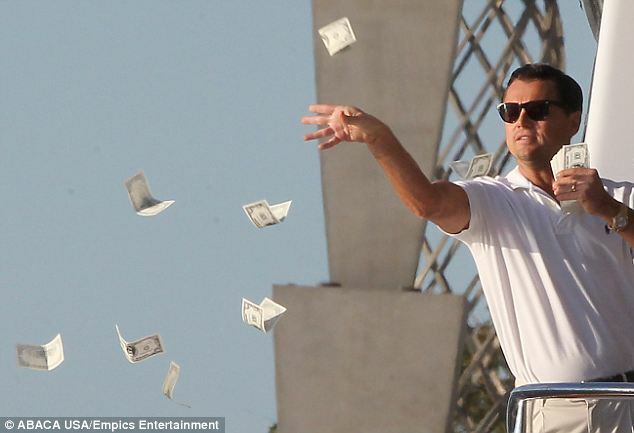 According to Tobias J. Moskowitz and L.Jon Wertheim In soccer home teams win at an outrageous 69.1 percentage, NBA teams win at home around 62 percent and home teams in the NFL win at a 58 percent rate. 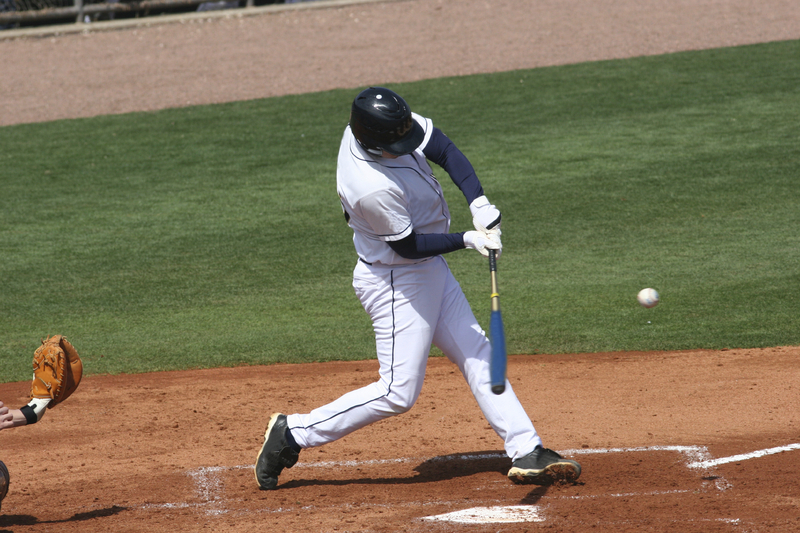 These numbers provide huge data that reveal the importance of playing a sporting event at home. According to John Bois in all sports home field advantage plays a big role in the outcome of the game. 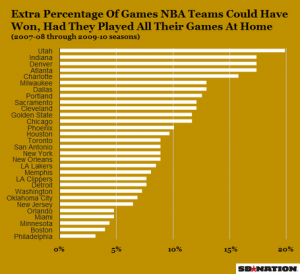 After his research he discovered that playing at home will give teams in the NBA and NFL the biggest advantages. His findings show that if the Utah Jazz played all their games at home they would have won over 22 percent of the games they ended up loosing. He takes into consideration the distance in plane travels and fan base. 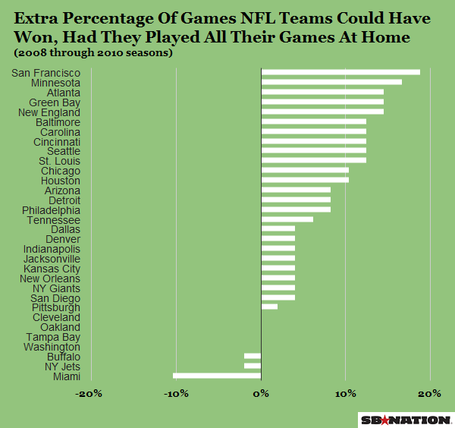 After he focuses his attention to the NFL where he sees that from 2008 to 2010 the San Fransisco 49ers could have won up to 18 percent of the games they lost if they played on their own turf with their own laud crowd cheering in their favor..
Another factor is the venue the game is played at. The fact that the home team doesn’t have to travel helps out big time. For example going into different time zones throw the body and their sleep schedule off. Also the environment plays a role because some teams are used to play in the hot, cold, wind , or rain while others aren’t. For example playing football in Denver is more difficult because the stadium is over 5,000 feet above sea levels so altitude is higher making it hard to breath and can lead to mile high sickness. This may be why the Broncos have the best home record in the past 32 years. Similarly ,the GreenBay Packers are used to playing and practicing in the cold so when temperatures drop to below freezing it is no shock to them. But compared to the Miami Dolphins who practice in the heat all year round, they wouldn’t be mentally and physically ready to compete in that type of weather. 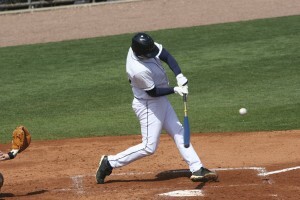 Playing at home gives the hosting team an advantage as they have the crowed on their side, they are more aware of their environment, and more comfortable when they play on their own field. 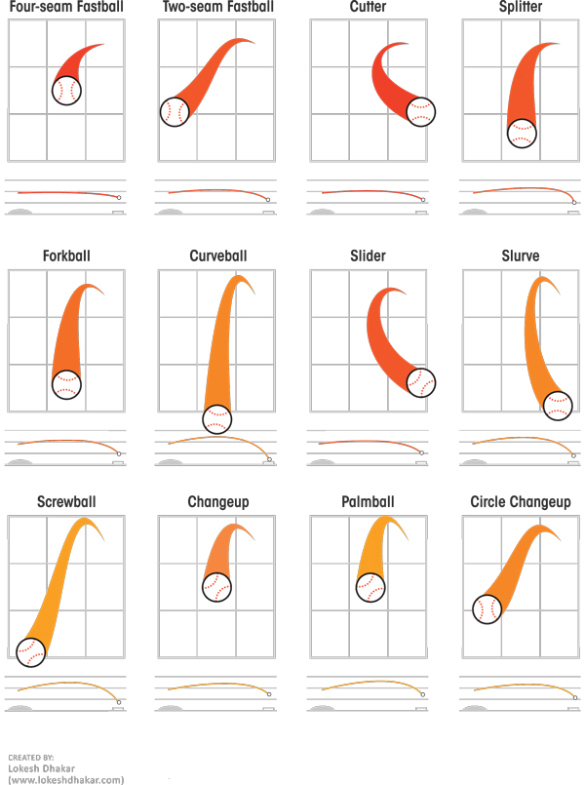 It is obvious talent does play a bigger role in the outcome of the game, but the more evenly match the two teams are, the home team will have all the factors helping lead to a victory because of home field advantage. This entry was posted in Uncategorized on October 18, 2016 by Derek William Drotman. Artificial sweeteners have been growing in popularity due to out roars against natural sugar. It seems as though artificial sweeteners are now everywhere. Most diet drinks use them as an alternative to sweeten the drink without using sugar. In particular, aspartame is one the most popular choices. Aspartame is created from the combining of two amino acids, aspartic acid and phenylalanine. It is used in a multitude of products such as Diet Coke and many foods. One of the reasons why aspartame is so commonly used is because it is roughly 200 times sweeter than sugar and therefore much less can be used. Sounds great, right? Not really. A lot of speculation has been raised about how great of an alternative aspartame truly is. The major discussion going around has to deal with cancer. 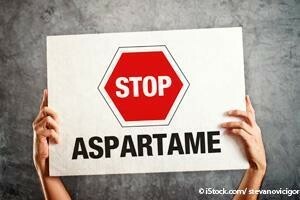 Does aspartame cause cancer? Does it cause cancer to become more severe? Many of these questions have been discussed and the only way to truly find out is to put it to the test. As I looked for research on the topic of Aspartame and its relation to cancer I came across an awesome study done in Europe at the Cesare Maltoni Cancer Research Center. Their objective of the study to was to quantify the carcinogenic risk of aspartame from prenatal (12th day of fetal life) until the end of the life of rats. The way they set up the experiment was with three groups of around 70-95 Sprague-Dawley rats. One of the groups was the control while the other two groups were administered either 400ppm or 2000ppm of Aspartame in their typical food daily. The problem with this experiment however is that it was performed on rats, and not humans. What happens to rats when administered the levels of aspartame close to the acceptable daily intake of humans, is surely to be questioned. If you wanted to see the effects of drugs on elephants, giving the same dosage to let’s say a human that you would the elephant sounds a bit off to me, don’t you think? 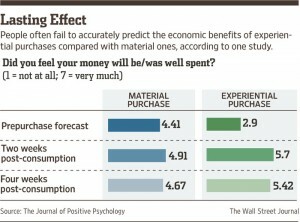 In conclusion, I do believe this experiment was run very well. They randomly allocated the rats and controlled the dosage that each group received very well. Overall, the experiment was run very well overall, and I think that the results should be taken into strong consideration. Until more time passes however and we can do observational studies on humans based on their aspartame intake, I believe it will be hard to find a true answer to this question. Until then, lab rat experiments will be the most telling. This entry was posted in Uncategorized on October 18, 2016 by Christopher Ronkainen.